Singapore’s journey from time of the independence in 1965 is an outstanding example that —in spite of multiple hardships —pragmatic policies, clear visions, long-term planning, forward-looking strategies, political will, and a relentless urge to improve, can result in strong foundations for sustainable development. Founded in 1819 by Sir Stamford Raffles of the British East India Company (EIC), it became one of the world’s most important and busiest ports by the end of the 19th century. In 1968, it was made the headquarters of the Asian Dollar Market, and one year later, in 1969, it became a gold market so large that it surpassed those of Hong Kong and Beirut and a port so important that it became the busiest in the Commonwealth, surpassing London. It became a developed country at the end of the 20th century. In 1965, with not enough land to collect but a small amount of the 2,340 mm of average rainfall it gets every year, the city-state had to expediently devise strategies to develop and manage its increasingly higher demand for clean and affordable water. Within this framework, the work of the national water agency, Public Utilities Board (PUB) has been crucial to the overall development of the city-state. A historically important source of water for Singapore has been the imports from Johor, Malaysia, which will last, at least, until 2061. 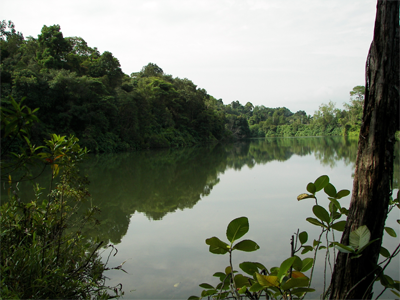 Four water agreements have been signed with this purpose: in 1927 and 1961 (neither of them are in force anymore) and 1962 and 1990, allowing Singapore to import water from Johor and allowing Johor to buy treated water from Singapore. PUB’s strategies looking to support the continuous growth of the city-state and look for self-sufficiency, have included the expansion of catchment areas, water supply and demand strategies (including pricing and non-pricing mechanisms), water pollution control and large investments in research and development mostly in technology in order to develop non-conventional sources of water, such as treated wastewater (NEWater or used water, as it is known locally ) and desalination. Partnerships between public, private and ‘people’ sectors in addition to sustained education, information and communication campaigns have been very strong components of the strategies aiming to achieve long-lasting attitudinal change among the public and the industries towards conserving water. Given its geographical conditions, the quest for water self-sufficiency has put considerable strain on a land-constrained Singapore. The pursuit of this aim has also had a significant impact on the island’s urban development which has translated into a comprehensive way urban development has been conceived, planned and carried out. In Singapore, development came to be equated with urbanization and this process had to factor in water if it was to succeed. The resulting experiences have made this a valuable example of how a city-state is able to formulate long-term plans, implement them in a timely and cost-effective manner, and keep on moving towards sustainable development as part of its overall growth strategies and development path. Singapore’s water demand management strategy has had a strong emphasis on ‘valuing’ water and thus on pricing it. This philosophy is based on the responsible use of water where the underlying principle is that the next sources of water could cost much more than the current ones. This argument establishes the foundations of a realistic water-pricing regime that reflects the value of this resource to ensure its long-term responsible use. Nevertheless, valuing clean water involves much more than paying a price for its provision. It is about appreciating its fundamental importance for social and economic development, security, environment conservation and overall quality of life. Although Singapore cannot be compared to many cities due to its unique position as an island nation and having only one level of government, it has certainly faced many of the same challenges and problems of any entity experiencing rapid industrialization and urbanization. If anything, addressing and resolving most difficulties has proven even more critical for the city-state due to the lack of hinterland to rely on for natural resources and the state of dependence to draw part of its water resources from another country. This has meant that the small island has always absorbed, all by itself, the adverse impacts of growth on the environment. It has equally implied that all development-related decisions have been traditionally dealt with utmost importance by all ministries. Fully backed, led and promoted by the highest political level, strategies aiming at propelling the city-state ahead have been formulated with a common goal in mind, fully aware of the fact that decisions on one social, economic, financial or environmental issue most likely will have a bearing in one or more of the others. Dr. Tortajada’s new book The Singapore Water Story: Sustainable Development in an Urban City-State (with Yujal Kishore Joshi and Asit K. Biswas) was published in April 2013.